2 In food processor, process bread until small crumbs form; remove and set aside. Into processor, add parsley, garlic, lemon peel and pepper; process until blended. Add Hellmann's® or Best Foods® Real Mayonnaise and process just until blended. 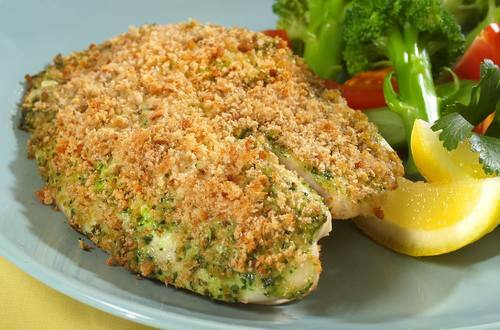 3 On baking sheets or broiler pan, arrange fillets. Evenly sprinkle with lemon juice, then evenly top with Mayonnaise mixture, then bread crumbs. Bake 15 minutes or until fish flakes with fork.